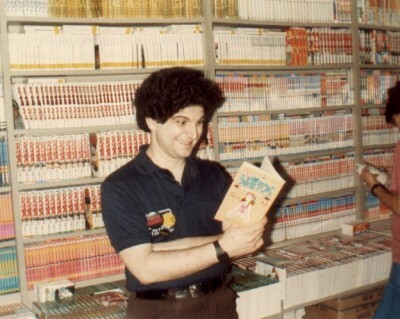 When anime and manga first came over to English-speaking areas, I presume it was treated more like traditional national comics were, and that manga fans were still primarily comic fans - rather than there being a distinction like today. What was the first public group that had an anime/manga fandom that was distinct from western comic fandom? 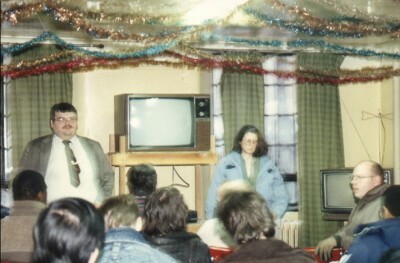 1980s C/FO New York meeting. Most ways of accessing anime & manga were limited back then. You either had to know someone over in Japan, or visit one of very few Japanese bookshops. Nearly none of which having English translations. Whilst there may have been some small gatherings of friends before the C/FO, it was the first group to be open to the general public. Many of the early members of the C/FO became prominent figures in the emergence of furry fandom. Unfortunately, due to political in-fighting the splinter groups gradually ceased to exist, leaving only the original L.A. branch active. Their current website was last updated in 2013.